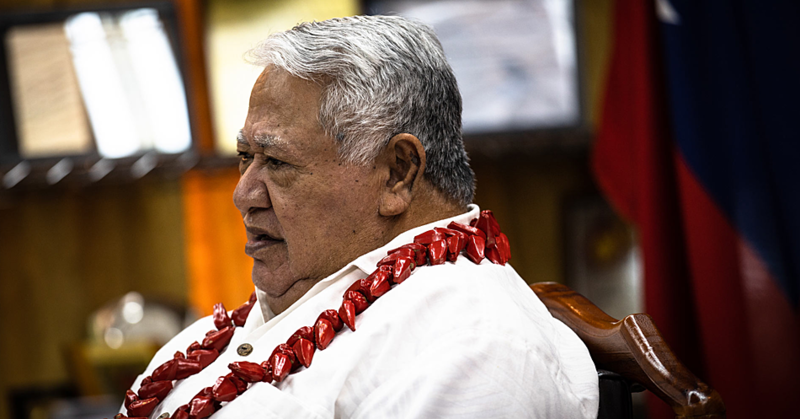 A request to write off loans is an embarrassment and it does not look good for any country, says Prime Minister Tuilaepa Dr. Sa’ilele Malielegaoi. Speaking during his weekly media conference, the Prime Minister said this in response to questions relating to the suggestion by Tonga’s Prime Minister Akalisi Pohiva that debts Pacific Island states owed China should be on the agenda at next month’s Pacific Islands Forum (P.I.F.) Leaders’ Summit in Nauru and loans owed to China should be written off. The Prime Minister said writing off debts is not a new issue, but it could have implications as bigger states could be reluctant to give low interest loans to smaller nations. 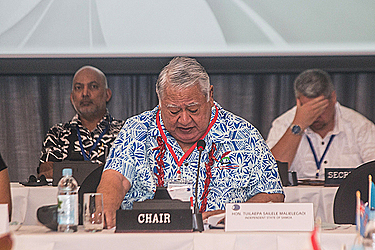 “The issue over Pacific Island nations owing debts to China has always been an issue addressed at the national level, such as the meeting of Commonwealth and the United Nations." “And the problem with addressing this issue continuously, the bigger countries become reluctant to give loans with minor interests because this is what will happen, a loan is granted with minor interest yet in five years’ time a request is put in to write it off. That is embarrassing." 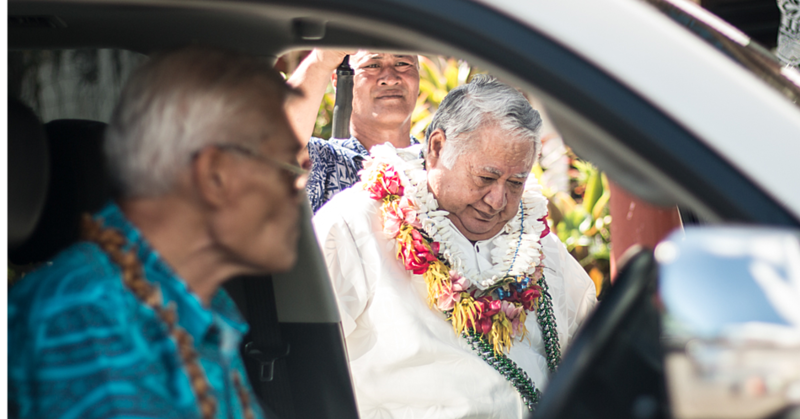 “And this is the same situation where Fiame was addressing a request for assistance from a Member of Parliament from Savai’i who first asked for the milk and then asked for the cow,” he said. The Prime Minister said requesting to write off loans paints an “unfaithful picture” of a country. “You can’t sign off on a loan for development and then ask to forgive the loans,” he said. The Prime Minister said Samoa’s revenue collection totaled $800 million and it continues to increase annually and the debt servicing is always a priority for the Government. “It’s by law that we pay on time. There are three segments of our annual budget - loan repayments, operation and our developments,” he added.